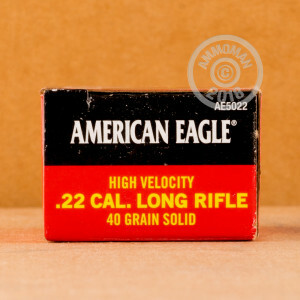 It'll take you more than a couple range trips to shoot all 5,000 of the .22LR rounds in this case of 10 bricks. These inexpensive rimfire cartridges are suitable for use in a wide variety of pistols and rifles and will provide you with decent acccuracy at short ranges. Great for introducing someone to the joys of shooting, or for blasting away for fun or practice. 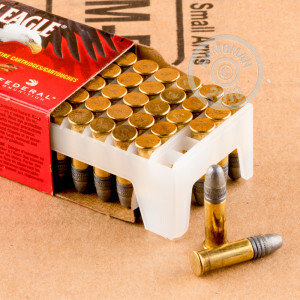 The 40 grain lead round nose bullet produces typical .22LR ballistics and minimal recoil. 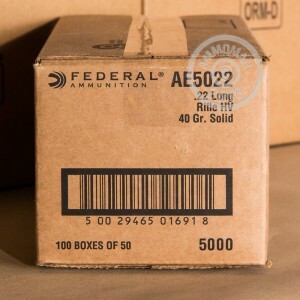 AmmoMan.com will cover the entire cost of shipping and handling for this 5,000 round case, much as we do for any order over $99. Pay the list price here and get this massive stash of ammo delivered right to your door! Great price....arrived when they Ammoman said it would.....off to the range to perforate some targets.